Bayside Villa is a lovely vacation rental home in Cape Coral, Florida near Fort Myers. 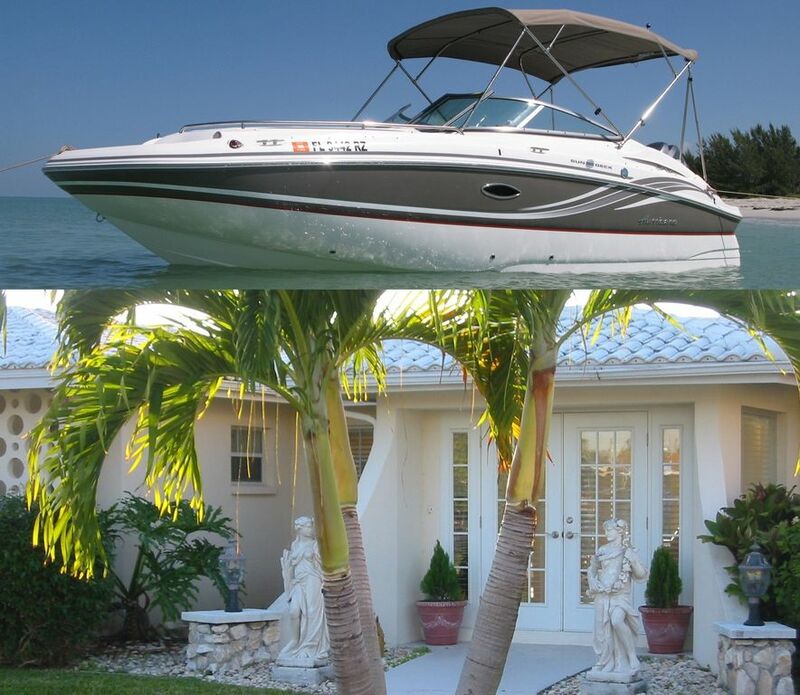 Bayside’s Hurricane Sundeck boat is included with your vacation home and docked behind your vacation home, making your Florida vacation a fun and unique occasion. Cruise to hidden barrier island beachs, boat to dinner, go fishing. At the end of your fun-filled day, return to this spectacular Yacht Club home with French doors and upscale touches throughout. Bayside sleeps six and is tastefully decorated and fully equipped. Bayside offers three bedrooms, three baths and upgrades throughout including a surround sound stereo system, granite countertops, and a fireplace in the master suite. The Living room and two bedrooms open to the pool and deck area.